Your credit score is an important asset that is more important than you think. When you have good, positive credit, it opens more doors for you financially. In fact, many lenders will only give you a loan if you have a good credit score. Whether you are getting a mortgage, a car loan or any other type of borrowing, your credit score ultimately could determine whether lenders, banks and other financial institutions will want to help you. But for all the things that credit scores could do for people, most people probably don’t know what their own credit score is. With something as so important as things like a social security number or driver’s license, you would think that credit scores would be easy to find and store. Check your credit card or other loan statement. Credit scores rely on credit card companies and some auto loan companies, and many of these companies have begun to provide credit scores to customers on almost a monthly basis. Depending on the company, many can see their credit score on a monthly statement or by logging in to their online bank account. Talk to a non-profit counselor. Non-profit credit counselors and HUD-approved housing counselors could also provide individuals with a free credit report and score. They may even be able to assist to improve your credit score. Use a credit score service. Several companies understand the importance of the credit score as much as everyone else does. Which is why some sites may be funded through advertising and not charge a fee when offering free credit score checks. On the other hand, there are other websites that may require you to sign up for a credit monitoring service with a monthly subscriptions fee. Many of these services are also often advertised as offering free trials for credit score services, but if you don’t cancel within the specified period (typically a free week trial is the shortest), they could end up billing you by the end of the month. That’s why when signing up to try one of these services, be sure you know what you are signing up for and how much it really costs. Buy a score. One of easiest ways to get your credit score with money is to buy a score directly from the credit reporting companies. For instance, you can buy your FICO credit score at myfico.com. Some companies may even offer a credit score to purchase. However, be careful! If you purchase a credit score, there will be no obligation to purchase credit protection, identity theft monitoring, or other services that may be offered at the same time (for another price). When it comes to finding your credit score, there’s a chance that these sources provide an “educational” credit score, instead of a score that an actual lender would end up using. To get an understanding on the difference of the two, an educational score will be close to the scores a lender will use and can be helpful for consumers. However, many of these educational credit scores can be quite different for some. Therefore, when choosing which source to get your credit score from, find out what kind of score it is. After you calculate your credit score, bad credit could mean bad news for you and your financial future. But what are some ways to bring that credit score up? Here are a few simple steps to take when you want to create a positive and healthy credit score. Watch those credit card balances. Credit cards are a great way of building up your credit score but maxing out credit cards could end up doing the opposite. Always be alert on how much your spending with a credit card, and avoid hitting that max. Even the small balances could add repercussions to your credit score, especially if you use different credit cards for multiple purchases. Paying them off on time is key. There is a difference between good and bad debt. If you are keeping up with house or car payments on your account, then that old debt should always stay, even after it is paid off. Removing it may cause even more damage to your credit score, especially if it showed that you were keeping up on payments. One of the biggest ways to improve your credit score is as simple as it sounds. Paying your bills on time and ensuring that the debt you are collecting is good debt because of it is key to a great credit score. If there’s one thing to do to pay your bills on time is to save. The consequence of not paying your bills on time can only hurt credit scores, so be sure to create a schedule, and be consistent when it comes to payments. When it comes to getting the best possible credit score, any risky investments could end up hurting it in the long run. 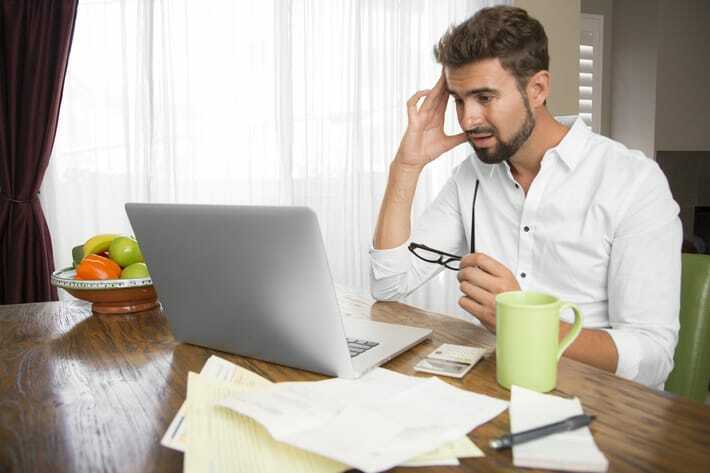 Here are some changes that could scare your card issuer and may create a hit on your credit score: Getting cash advances or using your cards at businesses that could indicate current or future money stress. Although not a way to improve your credit score, this could really help you out when you are about to make a major purchase (home, car, etc.). Check your credit score on the ways we have discussed so that you know it’s still good and free of errors. Any errors you do find on your credit score should be addressed and fixed as soon as possible.